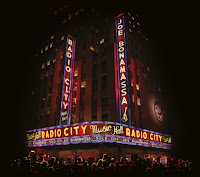 RockUnitedReviews: Joe BONAMASSA: "Live at Radio City Music Hall"
One of the best blues (rock) guitar pickers of this world has just released a fantastic new album; a CD/DVD set and CD/Blu-ray set. 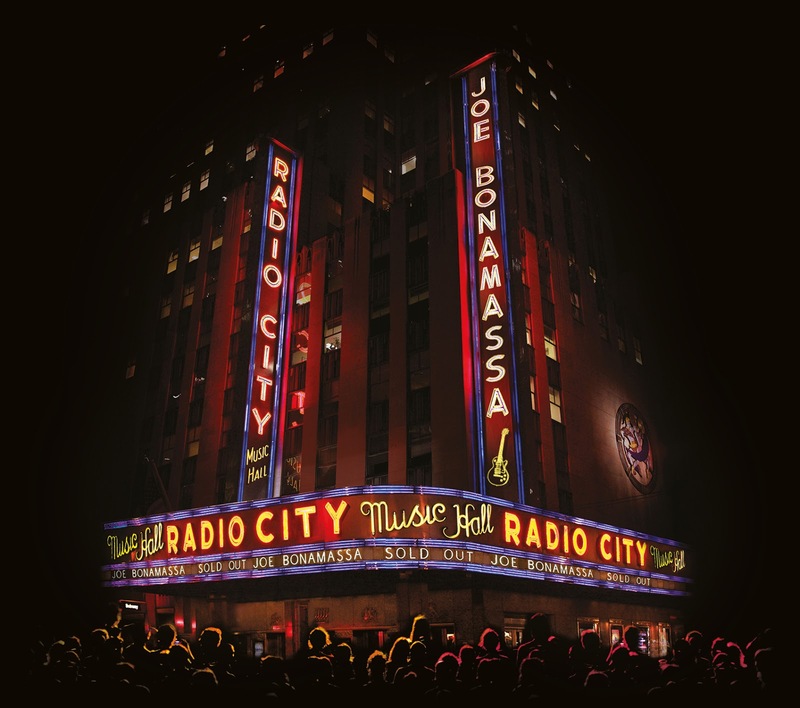 In January of this year Joe took the iconic Great stage at Radio City Music Hall and he played his special half acoustic/half electric programma for a very enthousiastic crowd. The set features over 75 minutes of music with two newly recorded tracks and nine unreleased live tracks showing Bonamassa and band in second to none form. However, as you do know by now, I am not a fan of acoustic songs, so for me it is a shame that I have to skip five songs on the CD. These five acoustic tracks are played with Joe's acoustic band called The Huckleberries and I am truly sorry (maybe not) but I can not get enthousiastic about songs like Dust Bowl, Trouble Town, Still Water, Different Shades Of Blue and Happier Times, as they sound too much country & western/ blue grass to me. I really like it when Joe shifts into the electric mode with his regular touring band consisting of: Tal Bergman (drums), Carmine Rojas (bass guitar), Reese Wynans (keyboards) and his hornsection (Thornburg, Lane and Cerra). One Less Cross To Bear is a new song and it is a great one, featuring great guitar parts by Joe and an excellent keyboard solo as well. Other highlights of this outstanding album are: I Can't Be Satisfied (Muddy Waters-like), Living On The Moon, Never Give All Your Heart and the bluesrockin' Love Ain't A Love Song. But the best song of the set to me is: So What Would I Do, which features the most fabulous guitar solo of the entire album and which also includes a mean saxophone solo. This song is what Bonamassa is all about, great melodies, great variety, excellent singing and breathtaking guitarpicking. Overall I have to say that Bonamassa's voice has improved a lot over the years, he really is an excellent vocalist nowadays and his guitar playing is flawless as ever. This album is a career milestone for Bonamassa and an absolute must have for his fans all over the world. By the way the DVD contains all the songs as featured on the CD (13 tracks), plus a lot more, including over 2,5 hours of live footage and a special 45 minutes behind the scenes featurette. Check it out and you will be hooked; however without the acoustic songs I would have given this album a perfect rating; sad but true... Play it loud and bring it your air guitar to play along!